Fruit..it never occured to me somehow that the critters like fruit. I have tried orange halves so many times! I have to be the world's only person that gets oranges ignored by all the starving, thirsty critters outside! But where I first saw this done was on the trees outside restaurant windows in Milwaukee. All the birds came and provided entertainment for the diners. 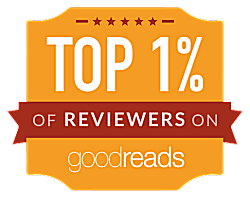 It was very nice! I've never heard of leaving fruit for the critters. Will have to try it. Oh, this is a wonderful shot! Caite-- There were ground squirrels and all kinds of critters around that would eat fruit and veggies. Margot-- I didn't know there was going to be an opportunistic lizard on the tree! 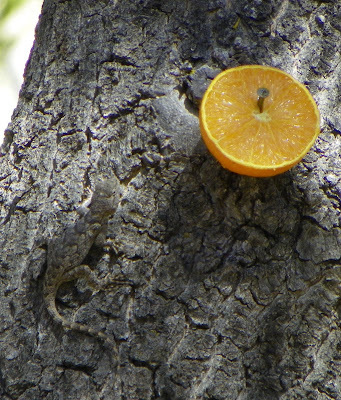 Kathy-- The lizard was hanging around the orange on the tree to eat all the insects that showed up.